The rear window in the 4Runner is just as complex as any of your side windows. Fixing a problem is going to take a little patience. At this point, you've probably tried both the key and the switch, but that stubborn rear window still won't budge. Maybe it works in one direction, but not the other? In either case, you've come to the right place. The rear window operates through a motor and slides on rails just like your side windows do, so there's potential for mechanical or electrical problems to occur. We'll start with the simplest solutions and then work our way up. It's possible that the lock may be stuck or frozen. If you repeatedly lock and unlock the window, it may cause it to become unstuck and work again. Your rear window is a part of a circuit that goes throughout the rear of your SUV, which includes the tailgate and the rear window wiper. This means that if any of these other components are loose or not properly seated, then the windows won't get power. Check the tailgate and make sure that it's properly shut; then check the rear window wiper and make sure it's fully retracted. Figure 1. Make sure the wiper is retracted. Sometimes the screws that hold the license plate are screwed down too tight or the screws are too long and they put strain on the window. Not only could this damage the window, but it also prevents it from moving back up. If this happens, either loosen or replace the license plate screws. Sometimes the glass of the window will catch on the plugs for the motors and relay. 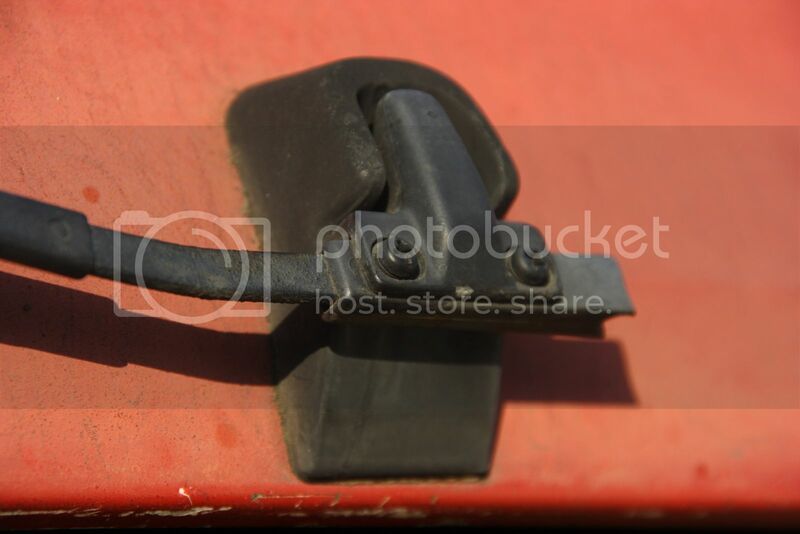 This will either cause the window to stop moving or the plug to disconnect and cause the rear window motor to lose power. Take the time to check the plugs for the two relay modules and the front switch. Figure 2. Check the internal plugs. There is a possibility for some parts to seize in certain conditions. Lubricate the moving parts and the window rails with wheel bearing grease and penetrating oil to help get things moving. You should do this occasionally to maintain the rear window mechanism. This is where things get harder to figure out. Since the rear window is part of a much larger circuit, there are many points where an electrical failure can occur. The first thing to check is the motor plug. If power is reaching the plug, you should be able to connect a battery and pair of wires to it in order to get the window to move. The second most frequent point of electrical failure are the relay modules, which connect to the motor. You can tell if a relay is working or not because it will click as soon as it receives power. If there is no click, then you likely have a bad relay. The third possibility is the switches, which can be checked with a multimeter if they are receiving power. If nothing else fails in your electrical checks, you should go back and inspect the wiring and connections. Most likely you'll find that there is a bad electrical connection at either the switches or the relays. Figure 3. 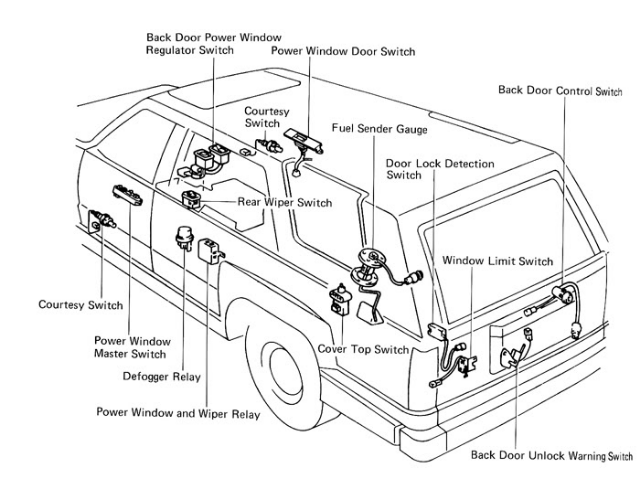 Diagram of the rear window and tailgate circuit. Sometimes motors go bad. You can do a quick check of the motor by unplugging it from the rest of the circuit and then supplying power to it from a battery. If it runs, then it's still functional, but if you're hearing repeated clicking noises, that's a cause for concern. Sometimes the teeth in the gears might break or become stripped so they no longer pull the other gears. 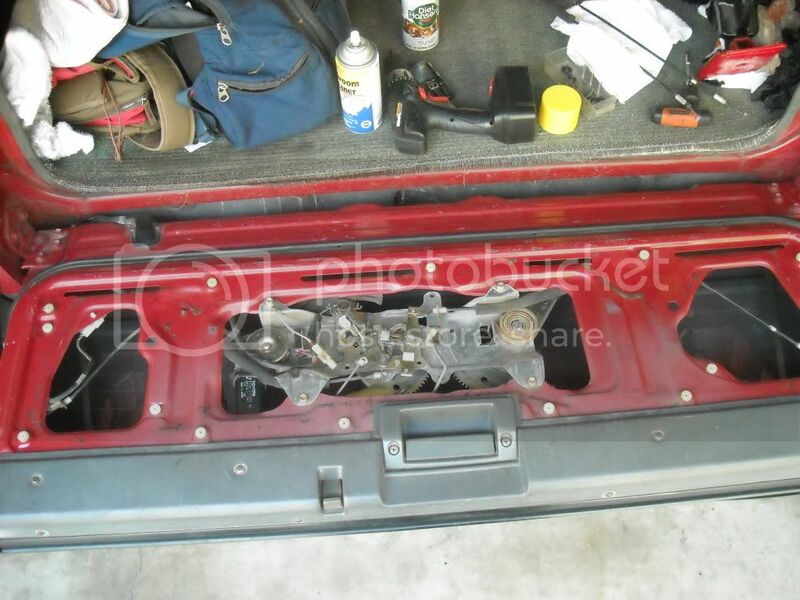 In this case, there's not much to do other than replace the motor. It's fairly straightforward to replace. 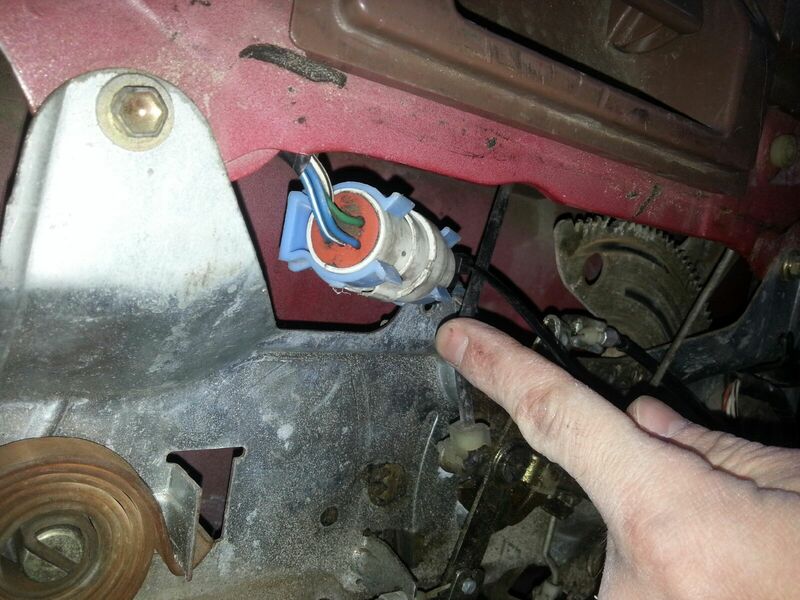 It's only held down by a few screws, but it can be difficult to pull out from the cavity of the tailgate. You'll need to slide the window down partially so you can unscrew the motor assembly, shift it to the side and pull it out. Figure 4. Back view of the tailgate.